Tank Anglaise watch, large model, Manufacture mechanical self-winding movement calibre 1904 MC. Steel case, faceted crown in 18K pink gold set with a spinel, lacquered silvered flinqué dial, sword-shaped hands in blued steel, sapphire crystal, bracelet in 18K pink gold and steel, wrist size 190 mm, calendar aperture at 3 o'clock, transparent case back with sapphire crystal. 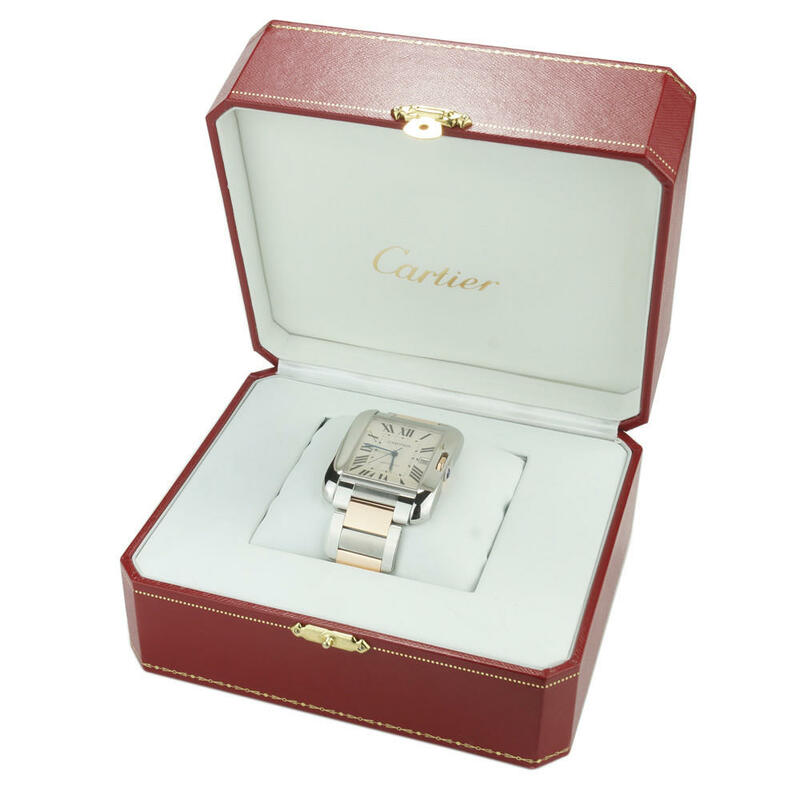 Case dimensions: 47 mm x 36.2 mm, thickness 9.82 mm. Water-resistant to 30 metres/100 feet. 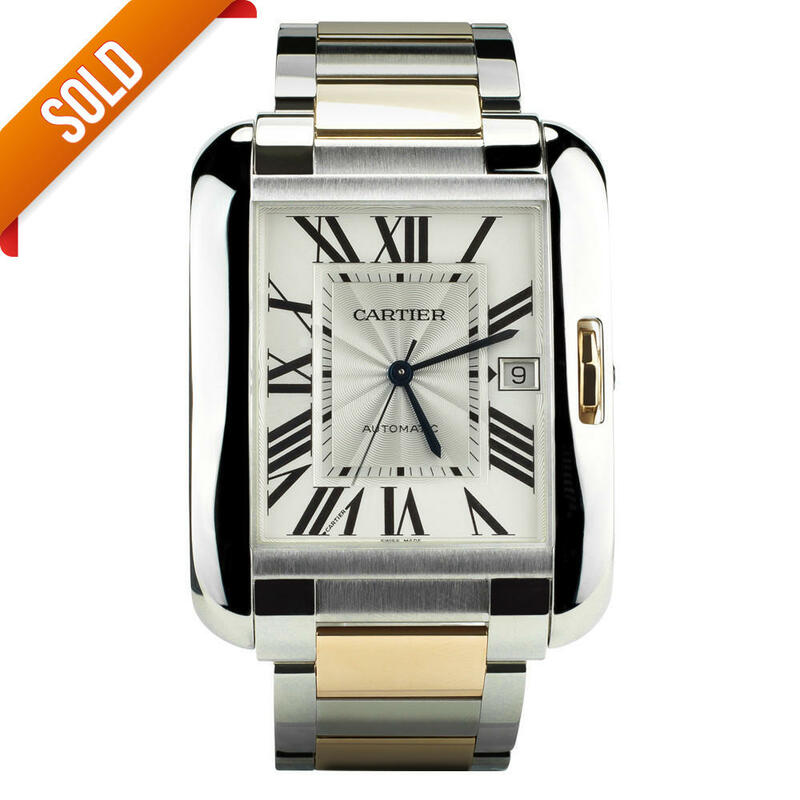 This watch is brand new and has been sourced from an authorised Cartier agent and comes with all authentic papers, box and 12 month warranty.